The Magic Flute (German Die Zauberflöte, K. 620) is an opera in two acts composed in 1791 by Wolfgang Amadeus Mozart to a German libretto by Emanuel Schikaneder. 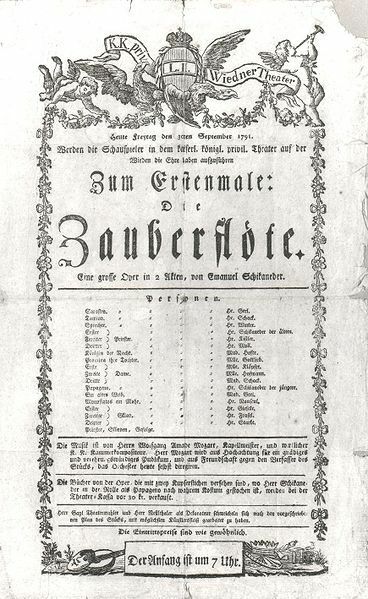 The opera was premiered in Vienna on 30 September 1791, at the suburban Freihaus-Theater auf der Wieden. 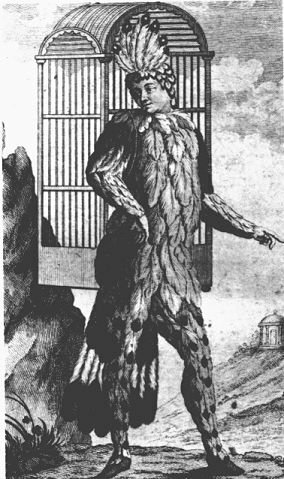 Mozart conducted the orchestra, Schikaneder himself played Papageno, while the role of the Queen of the Night was sung by Mozart's sister-in-law Josepha Hofer.